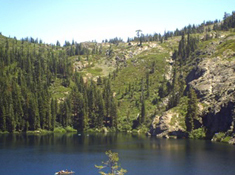 Castle Lake is situated at 5400 ft (1646 m) above sea level, in a pristine but accessible area of Northern California’s Siskiyou Mountains. 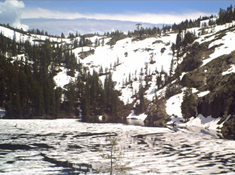 The Lake, formed in a glacial cirque, is the largest (by volume) of the 25 alpine and sub-alpine lakes within the larger Upper Sacramento River Watershed. 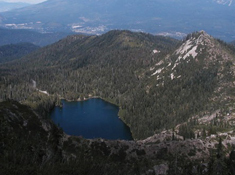 This complex of lakes distinguishes the Upper Sacramento River watershed from the predominantly spring and precipitation fed McCloud and Pit Rivers, which, along with the Upper Sac constitute the main inputs to Lake Shasta, Californias largest reservoir. 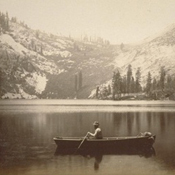 The largest of the three tributaries to Lake Shasta, the Upper Sacramento River is a critical water source for California and supports a large and diverse pool of state resources. Long term changes in climate, water quality and chemistry, primary and secondary production (plankton and benthos), and fish composition. 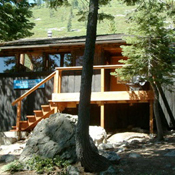 The approach to lake research and monitoring, and associated methodologies instituted at Castle Lake have gone on to inspire other western research programs, including those at Lake Tahoe (UC Davis), Crater Lake (National Park Service), Pyramid Lake (Pyramid Lake Paiute Tribe), and Lake Mead. Recently the science community at Castle Lake has been working with researchers and students from Lake Atitlan to refine and develop their lake monitoring program. 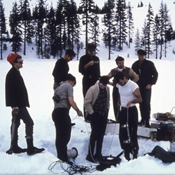 In this way, CLEREP has been critical in the development and evolution of mountain lake research and conservation in the west, and generates unique opportunities for comparative research for scientists and resource managers working on other mountain lake systems. Since its inception, CLEREP has upheld a strong commitment to training undergraduate, graduate, and postdoctoral researchers. 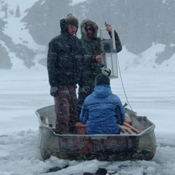 Dr. Charles Goldman and Dr. Sudeep Chandra have trained over 700 undergraduate students in basic limnological field and laboratory methods and data analysis. International students as well as scholars from Malaysia, Turkey, South Korea, Germany, Uzbekistan, and Guatemala have participated in the research program and/or received training in watershed science and monitoring at Castle Lake. CLEREP has produced over 50 PhD dissertations and Masters Theses. Furthermore, over 150 peer-reviewed papers and technical reports have been produced by the program’s graduate students and principal investigators. At a time when lack of funding is forcing Universities across the country to reduce field based education, opportunities like those offered by CLEREP are increasingly rare.